with prof. Sigurd Wandel and Aksel Jørgensen. Earlier studies at Helge Helmes paintingschool and with Bizzie Høyer. and sees there an exhibition of Kandinsky as well as works by german expressionists. 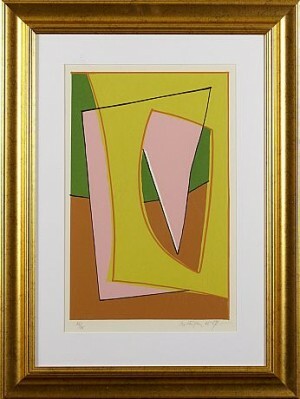 Début at \\\"The Artists Autumnexhibition\\\" by an abstract painting. Guest at Grønningen. (And in 1948-54). artists, such as Yves Tanguy and Max Ernst. Guest at the Corner- and Høstexhibition, member 1940-42. Participates in the editing of the magazine Aarstiderne (the Seasons). Creates sceneries for Ramuz/Stravinskys \\\"the Story of a Soldier\\\" at the Royal Danish Theatre. Creates a wall- and ceiling decoration in Ungdomsgården (a youth centre) in Husum, Denmark. Married to the writer Sonja Hauberg. Creates sceneries for H.C.Andersen/Stravinskys \\\"the Nigthingale\\\" at The Royal Danish Theatre. Awarded with the Edvard Munch-prize. an international level. Takes part in \\\"Prise de Terre\\\" at the Galerie Breteau in Paris. 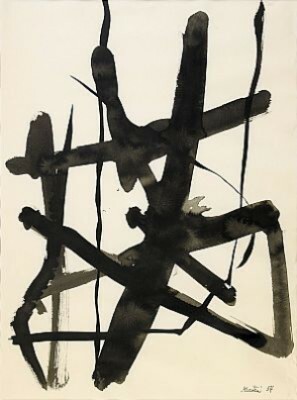 From 1948 Salon des réalités Nouvelles, Paris and Galerie Denise René, Paris. Exhibits together with Robert Jacobsen in Kunstforeningen, Copenhagen. Paticipates in the Bienale in Venezia. From this year on at the Salon de Mai, Paris. Form in Copenhagen and Stockholm in 1951. First stayings in Southfrance and Italy. Mortensen and others) in Stockholm, Oslo, Copenhagen, Helsinki and Liége. Bienale in Menton. Exhibitions in France and England. Work in Tamaris, France, paints about 30 paintings. Creates the first tapestries in co-operation with Atelier Tabard Freres et Sœurs, Aubusson, France. Stays in Montpeyroux (Puy de Dôme). Several inkdrawings. Take part in a travellingexhibition of tapestries in USA. Exhibitions in Paris, Hamburg and Rome. Stays in Vaison-la-Romaine. Inkdrawings and paintings. Participates in exhibitions in France, Switzerland, Holland, Germany, Brazil, Denmark etc. Represented in the Elise Johansen collection, the States Museum of Art, Copenhagen. Works in Cormeilles, Normandy. (Paints f.ex. \\\"Opus Normandie\\\" and \\\"Opus Rouen\\\"). Galleri Samlaren, Stockholm. Participates at Documenta I in Kassel and the Bienale in Menton. Exhibits furthermore in Venezia, Belgium, Italy, USA etc. Exhibits at Konkret Realism (with Robert Jacobsen and Olle Baertling) at Liljevalch\\\'s Konsthall, Stockholm. The preface for Mortensen\\\'s works is by Pontus Hultén. Exhibition of Tapestrys in Rio de Janeiro and Yverdon, Switzerland. from Kandinsky\\\'s scenework \\\"Der Gelbe Klang\\\". Travels to Spain. Exhibitions: \\\"Comparaisons\\\" Musée d\\\'Art Moderne, Paris, in Yogoslavia etc. Separate exhibitions at Aarhus Artmuseum, Denmark and Galleri Samleren, Stockholm. Louisiana, Denmark: Big collection such as: \\\"Opus Normandie\\\" 1956 (oilpainting 130x910cm). Publishes an album (silk-screen printing) \\\"Res et Signa\\\" with a poem by Jean Arp. Participates at Documenta II, Kassel. Exhibitions in Poland, Austria, England, France etc. Represents Denmark with a big, retrospective, separate exhibition at the XXXth Bienale in Venezia. Cologne. Participates in \\\"Art Concret\\\" in Zürich organized by Max Bill. The exhibition \\\"Art Danois Contemporain\\\" in Belgrade, Zagreb and Ljubljana. \\\"Antagonismes\\\", Pavillon Marsan, Louvre, Paris. Konsthall, Stockholm. Member of Den Frie Udstilling until 1975 and again from 1980/81. Creates \\\"Malgré Tout\\\" (oilpainting 200x200cm) for Aarhus Cathedral School, Denmark. 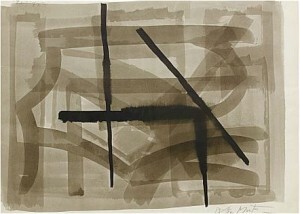 Separate exhibition \\\"Res et Signa\\\", Galerie Denise René, Paris. The Union of Danish Artassociations arranges a travelling exhibition i Denmark. Galleri Hybler in Copenhagen exhibits 22 new paintings. Furthermore exhibitions in France, England and Switzerland. Ejner Johanssons book about RM in the series Danish Contemporary Artists is published. 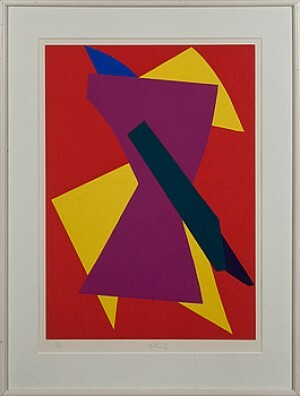 \\\"Exposition européenne de la sérigraphie\\\", Paris, etc. \\\"Vingt ans de Théätre\\\", Kunstgewerbemuseum, Zürich. The Museum of Applied Art: \\\"Evisa\\\", Tapestry woven at Tabard\\\'s, Aubusson, France. Professor at the Royal Danish Art Academy in Copenhagen until 1980. Big walldecoration at Aarhus University, the students\\\' reading room (oilpainting). Den Frie Udstilling, Copenhagen. \\\"Premio Marzotto\\\", Italy. \\\"Documenta III\\\", Kassel, Germany. Creates collages for the album \\\"Voluspá\\\". Marries Inger Margrete Hartman, Charlotte called. Decoration at Rødovre State School, oilpaintings I-VI 1960 (each 260x210cm). And in the Danish Parliament, the chairman\\\'s room \\\"Handshake to Spain\\\" 1961 (oilpainting 122x190cm). \\\"L\\\'Homme Nu\\\" separate exhibition, Galerie Hybler. Participates in exhibitions in Yogoslavia, Israel, USA, France, Belgium etc. In Hasselbalch\\\'s series NORD is published: Richard Mortensen: \\\"The moment of thruth\\\"
with texts by Umbro Apollonio and Ejner Johansson. \\\"The summerexhibition\\\", Galerie Hybler and Esbjerg. Exhibits in USA, France, Germany etc. shown in june 1967 at Musée d\\\'Art Moderne in Rijeka. Travels in january by train from Rijeka to Paris to see the big Picasso-exhibition. Is awarded by the \\\"Prince Eugen Medal\\\", Sweden and is nominated Knight of \\\"Ordre des Arts et Lettres\\\", France. Louisiana, Denmark exhibits it\\\'s collection of Mortensen\\\'s works. and another one for \\\"Notes de Travail, Rab, Yougoslavie\\\". Is awarded by the Thorvaldsen Medal. \\\"3 posthumous letters to Clara Jensen\\\" (RM\\\'s mother) 1967-68 (oilpaintings, each 150x150cm). Decoration for Trondhjems Artaassociation: \\\"Posthumous letter to Clara Jensen\\\" 1967-68 (oilpainting 150x150cm). Decoration for Bergen Picturegallery \\\"Interactivity though dispersion and division\\\" 1966 (oilpainting 60x130cm). \\\"Den Frie Udstilling\\\", Copenhagen. Creates a series of collages for the album \\\"Atelier 101, Rab\\\". Separateexhibitions in Musée d\\\'Art Moderne Split and Skoplje, Yogoslavia. Receives Prix d\\\'Achat from Musée d\\\'Art Moderne, Skoplje. \\\"Salon Comparaisons\\\", \\\"Salon Réalités Nouvelles\\\". \\\"Richard Mortensen And his Students\\\", Glasgow, Scotland. Travelling exhibition in Australia, Rumania, Belgium and Greenland arranged by the Danish Ministry of Cultural Affairs. Creates the first danish, non-figurative stamp (60 øre). Exhibits in the Artassociations in Trondhjem, Stavanger, Bergen and Oslo, Norway. 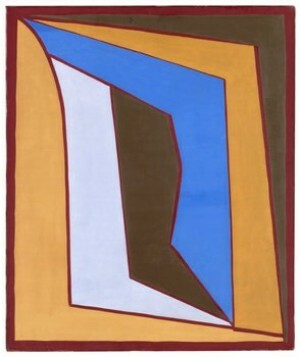 Riksgalleriet Oslo \\\"Entre deux Trains\\\" 1962 (oilpainting 195x97cm). Art: Elements and Principles\\\". And in Japan at the Danish Minstry of Cultural Affairs\\\' exhibition. Å-exhibition, Aarhus, Ålborg and Åbenrå, Denmark. Salon d\\\'Autômne, Paris. a granitemosaic put into earth in Torvalmenningen. occasion of Richard Mortensen\\\'s 60 years birthday. Francis Picabia\\\" and an album with 12 black and white silk-screenprints \\\"12 sculptures\\\". Big retrospective exhibition at the Kunsthalle Kiel in connection with \\\"Kielerwoche\\\". Represented in Kunsthalle Kiel by \\\"Ajaccio Marine\\\" 1969 (oilpainting 195x240cm). Decorates Aalborghallen\\\'s foyer, roomdecoration (about 650square meter). Exhibits at Kolding Artassociation and, together with his students, at Lyngby City library. Exhibition at Willumsen\\\'s Museum, Frederikssund, Denmark. Grand Prix d\\\'Honneur, Rijeka, Yogoslavia. Society of Sciences and Letters, Copenhagen: \\\"30th of April 1975. Joy of the victory in the East\\\"
Exhibition at the Artpavillon, Esbjerg, Denmark together with Robert Jacobsen. Represents Denmark at the international exhibition \\\"Belgrade 77\\\", Yogoslavia. inaugurated 1981: \\\"Eloge à la maison Yougoslave\\\" 1977 (oilpainting in 6 parts, each 180x180cm). Decoration at the Niels Bohr Institute, the big lecture hall: \\\"Reveil des émigres\\\" 1977 (oilpainting 450x640cm). Is awarded by the Larsen-Stevnsprize by Den Frie Udstilling. travelling exhibition of graphic works in cooperation with the Union of Danish Artassociations. The Artmuseum Ateneum, Helsinki, Finland: \\\"Santa Lucia\\\" 1977 (oilpainting 240x195cm). The book \\\'Album\\\' is published by Samlerens Forlag. Honorary member of the Academy of Fine Arts. Exhibits with Den Frie Udstilling. Copenhagen. Decorates the Councilhall at Birkerød Town Hall, Denmark. (oilpainting in 7 parts, each 180x180cm). Separate, retrospective exhibition of drawings at the Department of Prints and Drawings, the States Museum of Art, Copenhagen. Foreign decoration F.A.L.2. (France Art et Lettres, see also 1967). Decorates the Theatrefoyer at Saint Annæe Gymnasium, Copenhagen. Participates in the exhibition \\\"De Danske\\\" in Liljevalchs Arthall\\\", Stockholm and Malmö Konsthall. The Artmuseum Trapholt celebrates Richard Mortensens 75 years birthday by 3 exhibitions. 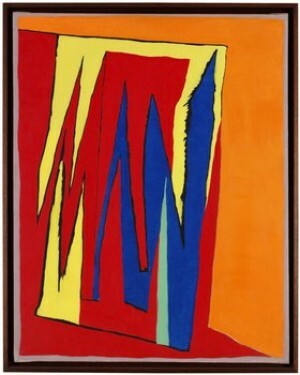 The exhibition \\\"Paintings - a selection, 1928-85\\\" in the Artfoundation Gl. Strand, Copenhagen. Prize of honour at the graphicbienale in Frederiksstad, Norway. Prix d\\\'Acquisition du Musée d\\\'Art Contemporain, Belgrade, Yogoslavia. and \\\"the Mimertree in snow\\\" is inaugurated. Is 2nd of june nominated Commandeur de l\\\'Ordre des Arts et Lettre de France. Withdrew his works from Den Frie Exhibition. Exhibition at Esbjerg Artpavillon from own collections in occasion of RM\\\'s 80 years birthday (till january \\\'91). Special hanging on the same occasion at the States Museum of Art and at Louisiana. 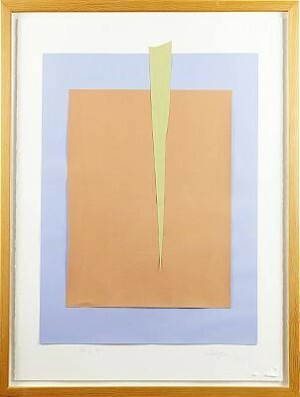 2 collageexhibitions at Galerie Knud Grothe\\\'s. \\\"The Good Hope\\\" exhibition of donation to Henie-Onstad Artcenter, Høvikodden, Norway, (hommage to William Heinesen). Den Frie\\\'s Jubilee-exhibition - 100 years. \\\"The Good Hope\\\" exhibition of donation to Henie-Onstad Artcenter, Nordens House, Thorshavn, the Faroe Islands. Collage- and drawingexhibition, Galleri Torso, Odense, Denmark. Collage-exhibition Galerie Bel\\\'Art, Stockholm. Book published. Donation of collages and drawings to Centre Georges Pompidou, Paris. Participated at the exhibition \\\"Inferno\\\" at the States Museum of Art 4th of feb.-18th. of april. Den Frie\\\'s Exhibition 6.th-21st. of march. Retrospective exhibition at the States Museum of Art/Aarhus Artmuseum. 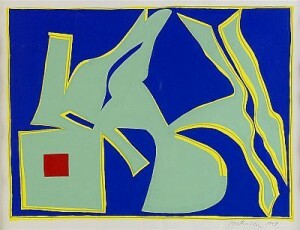 Artmuseum - paintings from 1992-93. Richard Mortensen är väl representerad i världens museisamlingar, Statens Museum for Kunst i Köpenhamn har den största samlingen, på Louisianamuseet hänger flera betydande verk och Trapholts museum i Kolding har också en stor samling. 1946 organiserade Auguste Herbin en utställning med konstruktiv konst på Salon des Réalités Nouvelles i Paris. Utställningen blev ett genombrott för den geometriska konstens återkomst. Vid samma tid började artiklar och böcker att publiceras som beskrev den konkreta konsten. 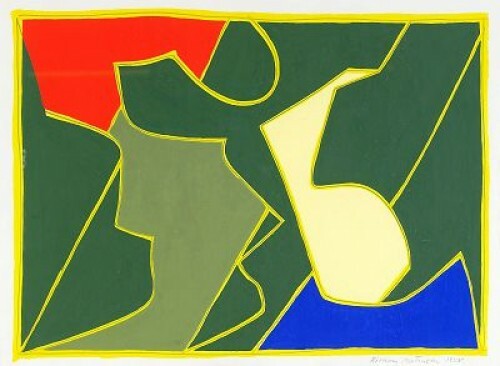 Konstnärer som Sonia Delaunay, Jean Gorin, Antoine Pevsner och Auguste Herbin blev internationellt uppmärksammade och kom att få stort inflytande på den samtida konstscenen. 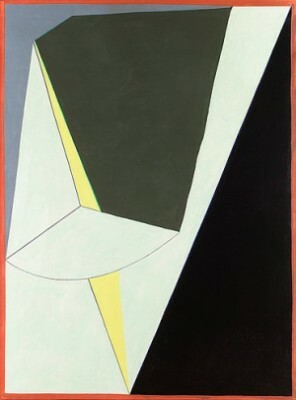 Vid sidan av Salon des Réalités Nouvelles blev Galerie Denise Renée i Paris av kanske ännu större betydelse för den ”geometriska abstraktionen”. 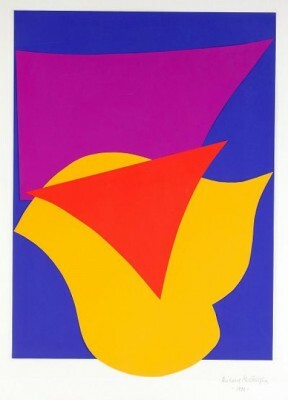 Hos Madame Renée samlades internationella konstnärer, som Victor Vasarely, Serge Poliakoff tillsammans med många skandinavier , svenskarna Olle Baertling, Christian Berg, Arne Jones, Olle Bonniér, Lennart Rodhe och danskarna Robert Jacobsen och Richard Mortensen. I denna krets framstod Richard Mortensen snabbt som en ledare för gruppen och konstriktningen. De geometriska formerna blev basen för rörelsen som också kom att använda olika organiska och kristalliska former. Richard Mortensen hade efter studentexamen i Köpenhamn tillskansat sig en bred utbildning inom gestaltpsykologi, religonshistoria och filosofi samtidigt som han ägnade sig åt ett avantgardistiskt måleri. Redan 1934 hade han en betydande roll bland de danska konstnärer som samlades i gruppen ”linien”. De målade i en stil starkt påverkad av psykoanalys och surrealism. Efter andra världskriget förändrades Richard Mortensens stil, detaljerna valdes bort och kompositionerna präglades av stora färgfält med avskärmande starka linjer. En stark expressivitet exploderar ofta från dukarna, trots eller kanske på grund av, de linjära och geometriska avgränsningarna. Mortensen mest betydande verk tillkom i slutet av 1940-talet och början av 1950-talet. Mortensen, Richard (1910-1993), dansk målare, en av dansk konst främsta företrädare för abstrakt måleri. Sedan 1946 var han verksam i Paris och knuten till Galerie Denise René, berömt för den konkreta konsten. Hans senare konkreta måleri utmärks av geometrisk komposition, rytmisk linjedynamik och koloristisk stringens. Efter återkomsten till Danmark utnämndes han till professor vid danska Konstakademien.